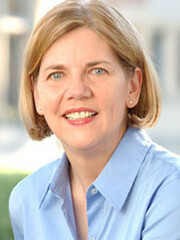 Warren’s personal story and her success are compelling. Her speech was remarkable. But the local corporate media here, led by The Oklahoman, have pretty much normalized what former President Bill Clinton referred to Wednesday night as the “hate” of the “far right that now controls” the Republican Party. In other words, don’t expect good reviews for Warren’s speech in the local corporate press. Under the prevailing Oklahoma GOP rubric and its propaganda machines, someone like Warren is an enemy and a left-wing radical because she’s a Democrat and she supports President Barack Obama. It doesn’t matter if she’s a hometown girl or not. An editorial in The Oklahoman this convention week makes it clear. The downward slide of the Oklahoma Democratic Party is because of President Obama, according to the editorial. What Democrats here need to do, and I guess by extension all Democrats, including Warren, is reject the president of their own political party, it argues. If they do that, then everything will be okay with Democrats. Of course, the newspaper itself, one of the most conservative in the nation, isn’t to be held accountable for its one-sided, inane and consistent criticism of Obama or, for that matter, Clinton either when he was president. All the hatred for these presidents was generated independently of the right-wing noise machine, right? Meanwhile, Gov. Mary Fallin is serving as an attack dog for Mitt Romney’s campaign this week in Charlotte as Oklahoma taxpayers pick up some of the tab. Now there’s a hometown girl The Oklahoman can recognize for doing a good job. The larger picture is this: Even if the GOP does win the presidency this year using the politics of hate and lies, it remains an endangered species in its current form in the long-term because of the growing diversity and cultural tolerance of this country. It will have to move left to survive as a viable political party, even in Oklahoma eventually. But there’s much damage it can do to the country’s social, medical and educational infrastructure in a few short years.